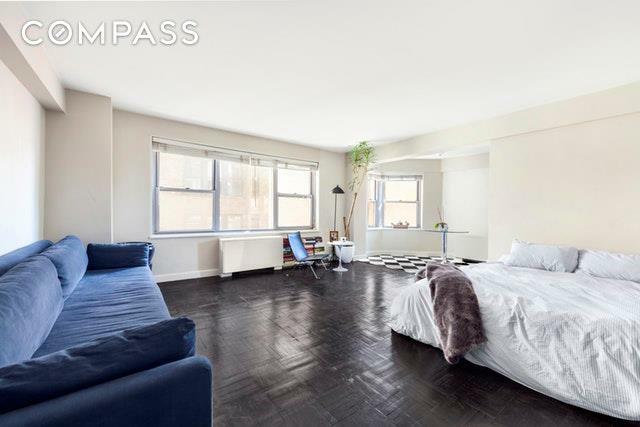 175 West 13th Street #9AEnjoy bright and sunny living spaces, great storage and an unbeatable location in this beautiful corner studio in a full-service postwar cooperative.Fantastic light flows throughout this roomy studio thanks to extra-wide windows facing north and east. Handsome deep-stained hardwood floors run throughout while tall ceilings amplify the sense of space and light. With a spacious main living area and a sizeable alcove, you'll have plenty of room to arrange living, sleeping and dining areas. 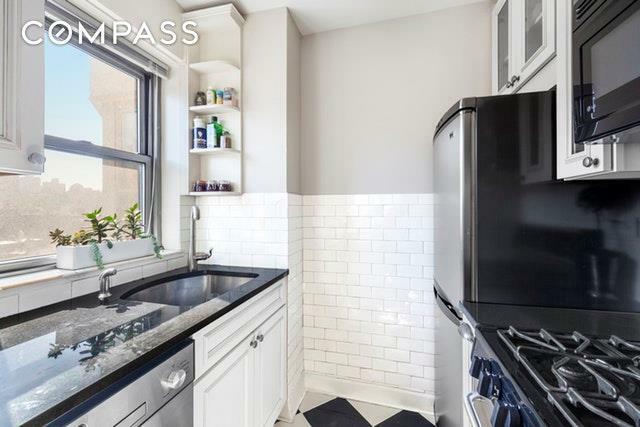 A lovely archway and classic black-and-white tile guide you to the well-appointed windowed kitchen where you'll enjoy ample cabinet space and a full suite of stainless steel appliances, including a gas range, dishwasher and built-in microwave. 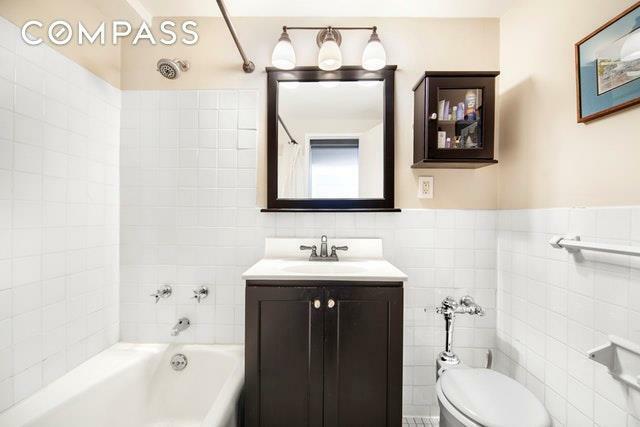 The bathroom boasts a large tub/shower and modern vanity, and thanks to four large closets placed throughout the home, storage will never be a concern in this charming Downtown abode.The Cambridge House is a postwar white brick co-op set within the boundaries of the Greenwich Village Historic District. Beautiful historic architecture and tall trees line the nearby streets creating unsurpassed residential tranquility. Residents of the well-staffed, pet-friendly building enjoy 24-hour doorman and porter service, live-in superintendent, laundry, bike room, storage and a fantastic roof deck with magnificent open views of the city and water.Located at the intersection of Greenwich Village and Chelsea, with easy access to Union Square and the Flatiron District, this neighborhood exemplifies quintessential Downtown living. 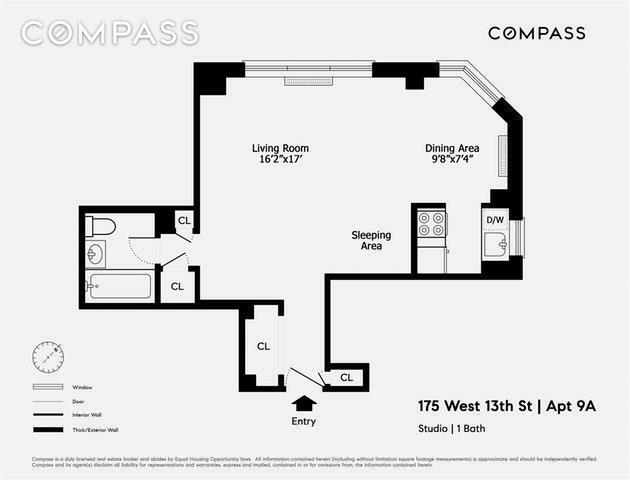 Enjoy waterfront recreation and outdoor space at the High Line, Hudson River Park or Chelsea Piers. Take in world-class art at the Whitney or the galleries of West Chelsea. Enjoy endless nightlife and dining options, as well as unprecedented access to the rest of the city thanks to F/M, L, 1/2/3, A/C/E, 4/5/6, N/Q/R/W and PATH trains all nearby. Listing courtesy of Susie Cornicello of Compass.